Chapman's 2017 Free Calendar is live! Sign up at the link below to get yours! Maximum 1 calendar per household. Allow 6-8 weeks for delivery. 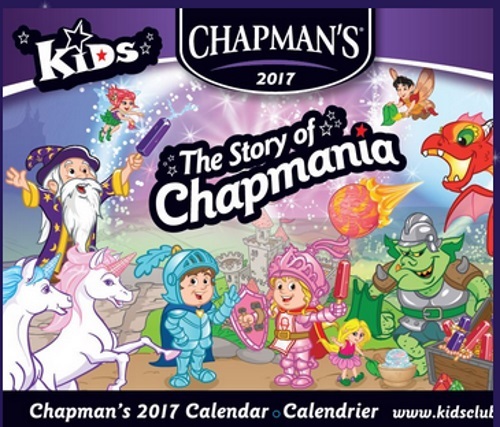 In case the direct link does not work for you below, I chose "Chapmania" as my "kids club adventure", and the clicked on the little sign that the fairy is holding that said "Free Calendar". Click here to get the calendar. thanks for this posting. My grandson will love this. He can use it to learn all about how a real, not digital, calendar works!